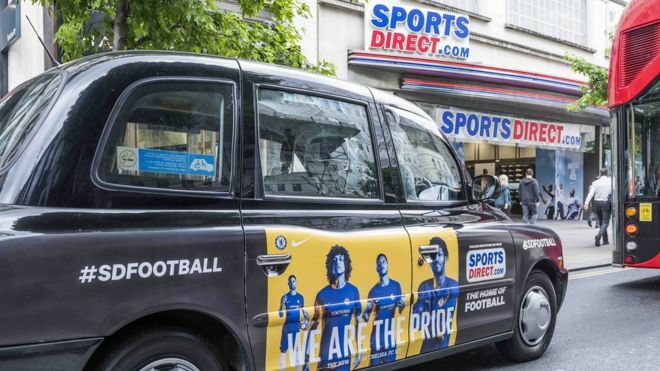 “It’s clear we have smashed the ball out of the park with our ‘Selfridges’ of sport concept,” boasted Sports Direct chief executive Mike Ashley to financial analysts, following the release of the company’s latest results. He was talking about the retailer’s efforts to drive its stores upmarket and “elevate its retail proposition”. The idea is to give more space over to branded goods and showcase their “very best products”, even opening gyms in some of the flagship stores. And on Thursday it announced a “strategic partnership” with upmarket Japanese sportswear brand Asics, whose products will be stocked in Asics-managed areas of flagship stores from next year. Well, there was only one way to find out what this was all about – take a visit to its flagship store on London’s Oxford Street, which is showcasing the latest approach. As I walked through the door, to be greeted by thumping music, I dredged through my memory for the last time I’d been in a Sports Direct. It was a long time ago, but my memory was of the slightly claustrophobic feel of fighting through a crowded jumble of kit and equipment, and my perception, right or wrong, that this was an environment aimed primarily at men. So the fact that the Oxford Street store felt light and airy with plenty of space between rails was a welcome relief. But let’s be honest, I’m not a typical Sports Direct customer. Yes, I exercise regularly, but fashion is not foremost in my mind when I’m struggling through another tortuous workout, and I think of Sports Direct as being more about fashion than “serious” sport. Well, first off, reinforcing my prejudice that this is more of a male environment, the first thing you see as you walk through the door of the Oxford Street store is a display of club strips and a sign proclaiming this is “The Home of Football”, a reminder that another of Sports Direct’s stated aims is to become just that – the home of football. And most of the customers did seem to be male.